Hey Canada! If you are still keen on keeping a physical library of all your favorite films here is a reminder that one of our favorite films from 2017, Ryan Prows' Lowlife, is coming to Canada next week. Released by our friends at Raven Banner their release is a Limited Collector’s Bluray DVD Combo Edition. this week from Raven Banner in retail and online via Amazon. 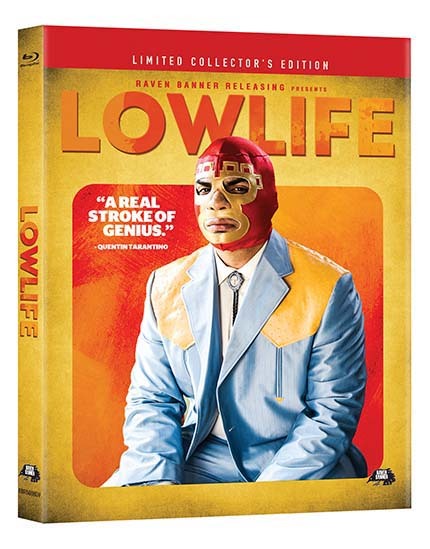 Featuring new art and unique special features, Lowlife comes with two audio commentaries from director Ryan Prows and cinematographer Benjamin Kitchens, and an additional track with Prows and writers Tim Cairo, Jake Gibson, and Shaye Ogbonna, a making-of featurette and three brand new shorts produced specifically for the Blu-Ray featuring the original characters in the film. Keep your eyes peeled at your local retailer and watch this link at Amazon.ca for the release.